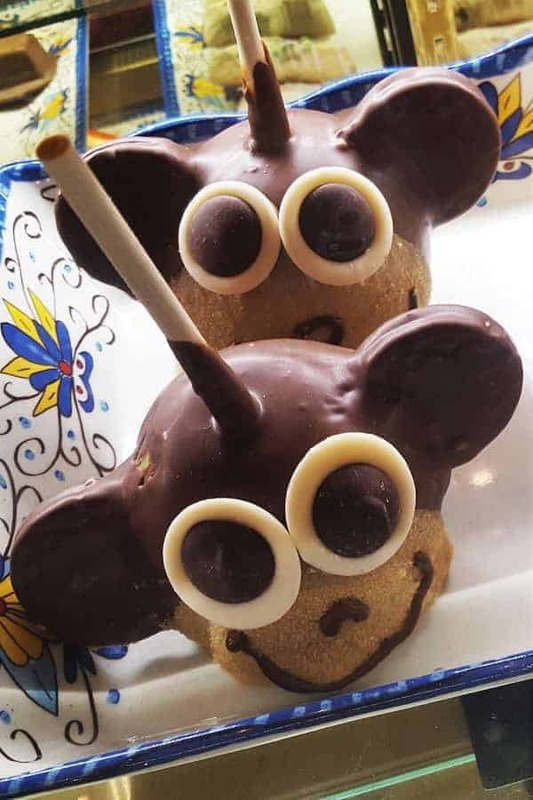 While there is no bakery like in Magic Kingdom, Epcot and Hollywood Studios, there is a great place where you can find one of a kind treats at Animal Kingdom. 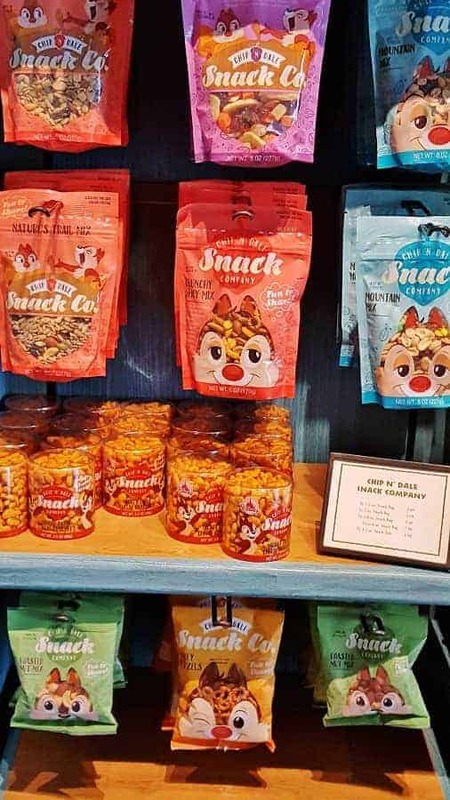 Zuri’s Sweets is located in the Africa section of Animal Kingdom and features candies, baked treats, plus a few healthy snacks like granola and nuts. If you are in the mood for something sweet or salty, this is the best place to go! Zuri’s Sweets may look plain and uninspiring on the outside, but the inside is colorful and full of really neat safari themed giftware and one of a kind treats at Animal Kingdom! Take your time to browse through the entire shop. You’ll find a little bit of everything in the shop area from African spice rubs, ceramic animal-print mugs to Flame Tree BBQ sauce! 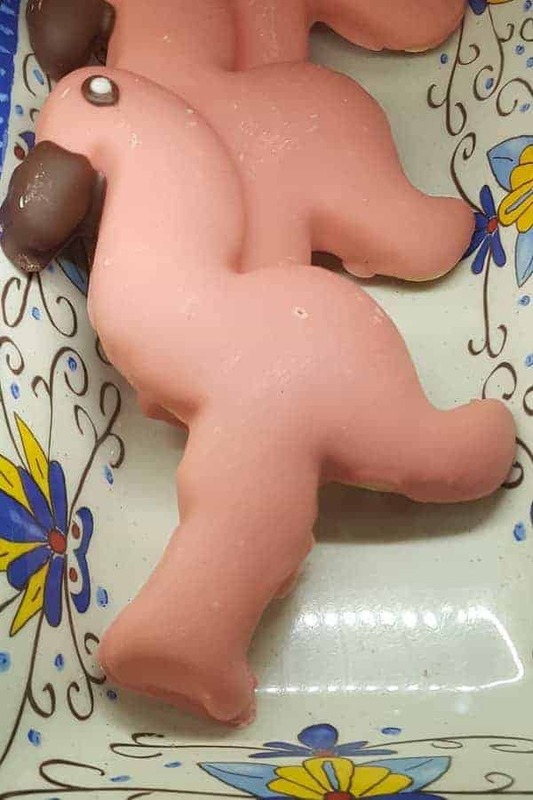 Zuri’s Sweets is the only place where you will find them shaped into safari animals like Pandas, Monkeys and Elephants! And if you aren’t a fan of Candy Apples, no worries. 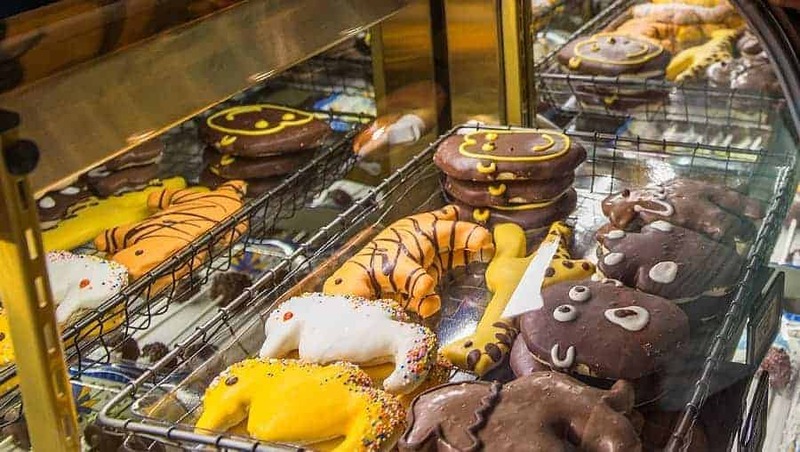 There are plenty of other unique treats to choose from like African-spiced popcorn, animal-shaped lollipops, chocolate crocodiles and iced animal shaped sugar & gingerbread cookies! The iced cookies are almost too beautiful to eat (but you will want to eat them because they are super yummy!!). Want something sweet to bring back home & enjoy later? There are so many sweet treats at Animal Kingdom to choose from that I really can’t show you them all. 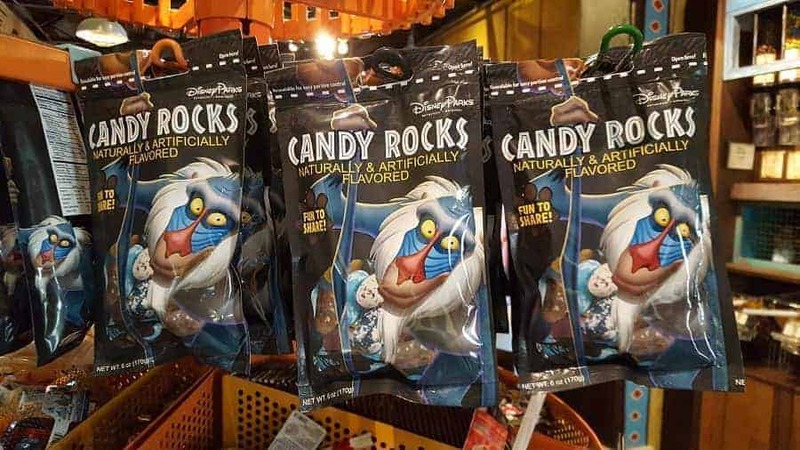 f you are a fan of The Lion King, however, you will find a section at Zuri’s Sweets with bagged candy and treats that feature Lion King Characters. And if you are looking for a savory treat, they have those too. 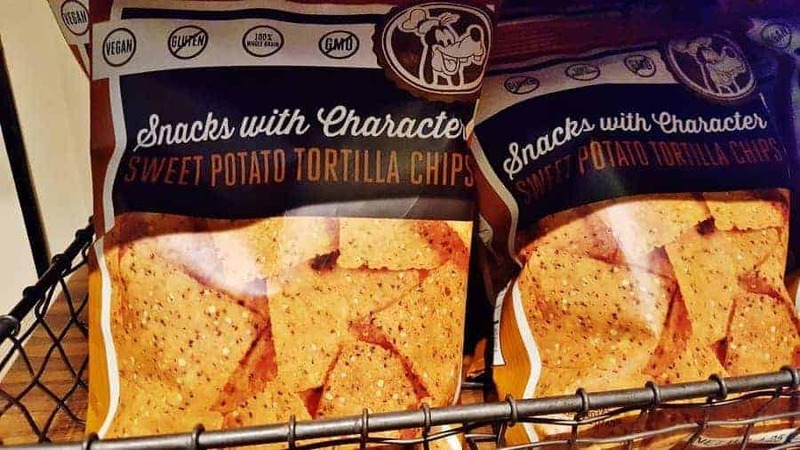 There are even some things you won’t find anywhere else at Disney, like these Sweet Potato chips. They are vegan and gluten free! On the Disney Dining Plan? You’ll find that there are a ton of items that qualify for snack credit. Even the bagged candy qualifies! 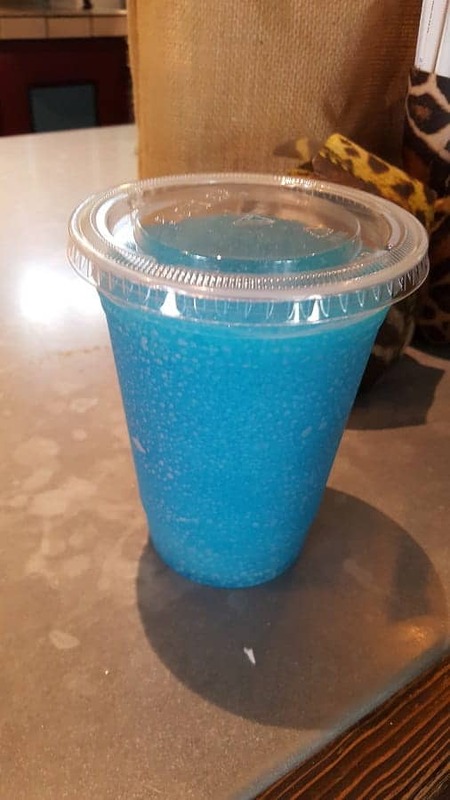 And if you are thirsty for something frosty, you can get a Goofy’s Glaciers (another qualifier for snack credit). Have you been to Zuri’s Sweets? 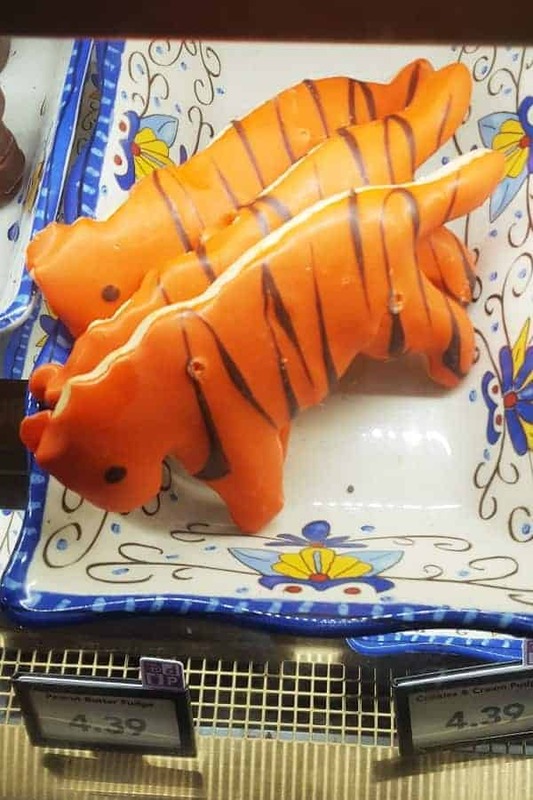 What were your favorite treats at Animal Kingdom?